Clean CARFAX. 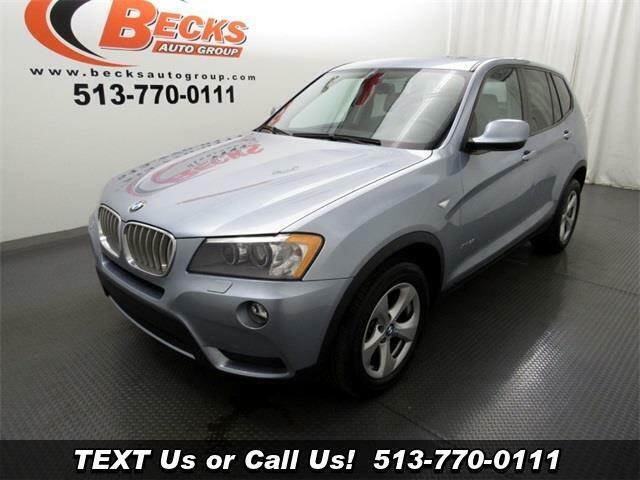 2011 BMW X3 xDrive28i Blue AWD 8-Speed Automatic Steptronic 3.0L I6 DOHC 24V 8-Speed Automatic Steptronic, BMW Assist w/Enhanced Bluetooth® & USB, Cold Weather Package, Heated Front Seats, Heated Rear Seats, Heated Steering Wheel, Navigation System, Online Information Services, Real Time Traffic Information, Rear Seat Backrest w/40:20:40 Split, Retractable Headlight Washers. Odometer is 6940 miles below market average!